For Charleston, there’s no shortage of historians and local tour guides leading you on a thrilling path of discovery as they explain what the city means to them. However, like any true southern lady, Charleston has a way of keeping her secrets. These well-hidden treasures have fueled many speculations and theories about the city, but as we dig beyond the canonical texts and historical guides, we are going to unravel some long-held myths and show you the real character of Charleston. But be warned! Charleston’s story is no stale book. The dynamic undercurrent that has surrounded her for more than 300 years has created one of the most interesting cities in America. Take care as you read our myth-busters guide to Charleston! With one tour of Charleston, it’s easy to view the city as a traditional antebellum city graced with waterfront mansions and beautiful architecture. When others learn of her history, they often imagine the city filled with girls adorning hoop skirts and “Rhett Butler” wannabes. But Charleston has never only been a historical city. Her culture and lifestyle are easily broken into time periods, leaving her always on the top side of upcoming fashion. 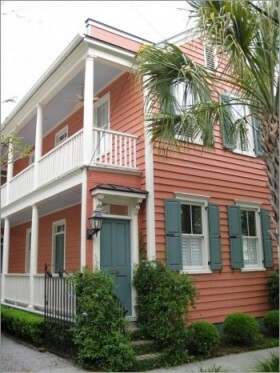 Of course, Charleston’s architecture has followed suit (beyond most people’s expectations). The concept of “historical home” can mean a variety of things depending on the time frame you have in mind. On streets like Church, Tradd, and King, you can find pockets of 18th century buildings that easily define what many people would think of as “Old Charleston.” However, one view doesn’t speak for the whole of Charleston. Walking down one street can easily put you in the 18th century, but as you cross over a few blocks, that time period can easily change. Charleston’s skyline is decorated with homes and churches dating back to almost every decade. This is due to a variety of reasons, which include the local populace consistently outgrowing the city borders and a series of natural disasters that tore down sections of the metropolis. Most people also don’t realize that much of Charleston is man-made. As we’ve sought more room to live on in the peninsula, we have had to fill in several marshes and creeks to make space for our homes. A lot of the “Single Houses” in Charleston look like they were placed sideways, leading many to believe homeowners were trying to avoid taxes on property frontage. 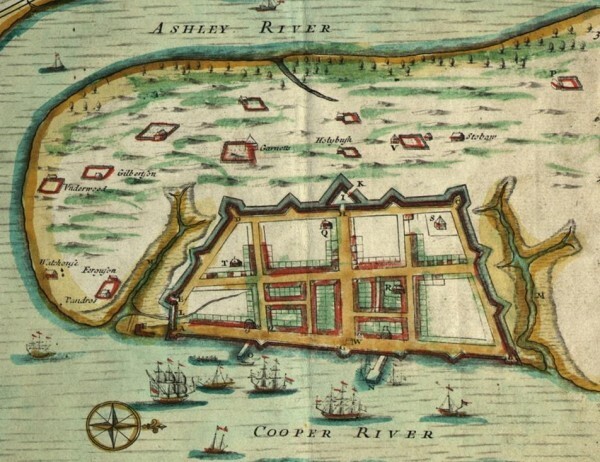 However, homes were built in this fashion mainly due to the constrictive configurations of lots in the city (as Charleston was originally a walled metropolis). A quick look around Charleston’s historic homes, you might discover plaques issued by fire insurance companies attached to many of the properties. A lot of people thought these “Fire Markers” meant only the brigade pictured on the plaque was allowed to put out the home’s fire. However, the insurance companies would often give cash rewards for all the fire brigades that showed up to extinguish the fire. No one in Charleston wanted to run the risk of a fire spreading out of control! Many people say Rainbow Row was painted with bright colors so drunken sailors coming into port would better remember where they spent the night. Others have said the colors of each building provided a reference point for slaves and illiterate shoppers trying to find a specific store. But the underlying truth to Rainbow Row’s colors are for none of these reasons. The colors only appeared in the 1930’s when the row underwent major rehabilitation. As we dig into Charleston’s myths and unravel hidden facts, we’ll be sure to pass them along. From what we’ve seen so far, Charleston has revealed to be a very dynamic city filled with interesting stories. As you walk through historic downtown next time, take note and send us any questions you might have about the area. We’d be happy to debunk any myths you’ve heard during your travels!